What the heck is Sierra Club BC doing in Northern Alberta!? When we started working on the Site C dam, it was for mostly BC-centric reasons. BC Hydro ratepayers would have to foot the multi-billion dollar bill for an unnecessary megadam. BC residents would be essentially losing the Peace River Valley, and losing the benefit of the food grown there. As Canadians, we would be violating Treaty 8, which guarantees the rights of Treaty 8 First Nations to use the land – rights which can’t be exercised when the land is flooded. The list of problems with Site C goes on and on – and like the mighty Peace River, it doesn’t stop in BC. The Peace’s headwaters are in BC’s Rocky Mountains, fed by the Finlay River, Halfway River, Parsnip River and other tributaries as it flows eastward and northward into Alberta. 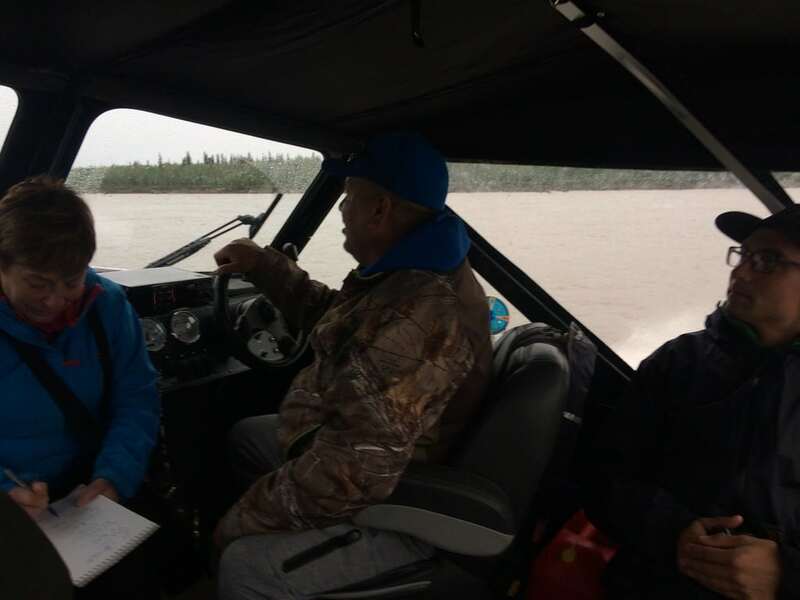 Having worked with the Mikisew Cree First Nation to initiate a UNESCO mission to Wood Buffalo National Park and the Peace-Athabasca Delta within it, our campaign to protect BC’s Peace River inevitably moved beyond the BC border. With Canada refusing to assess Site C’s impact on the Delta, we decided to return – this time with photographer Louis Bockner – to capture photographs of this huge, internationally significant delta. The Narwhal also sent reporter Judith Lavoie along on the mission to report on the story. We met with Indigenous elders in and around the delta. Watch the video above to find out more. You can also find and share Louis’ stunning photos on our Facebook album. Here is a relatively quiet section of the Slave River, just North of Wood Buffalo National Park. We visited with locals fishing from the banks. The Slave drains the Peace-Athabasca Delta and flows into Great Slave Lake, which is drained by the Mackenzie into the Arctic Ocean. 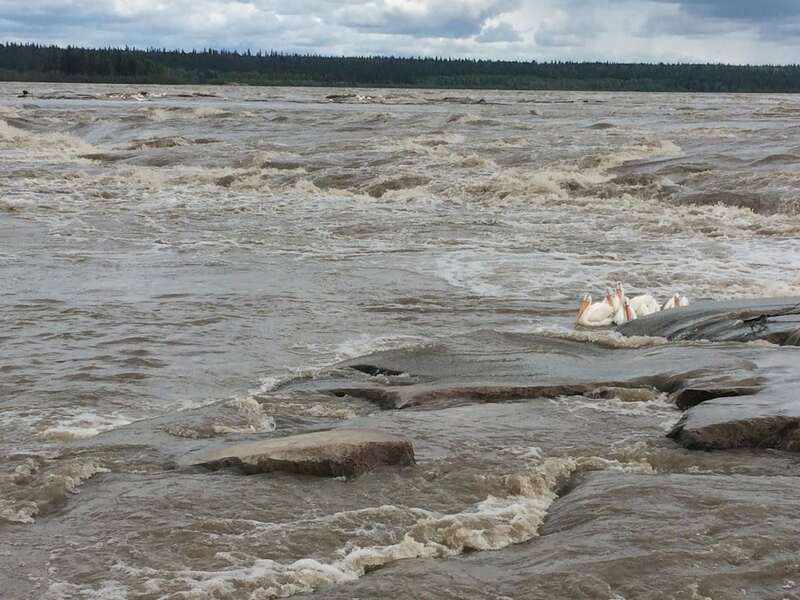 A wilder section of the Slave River, where migrating American white pelicans feed on fish in the rapids. 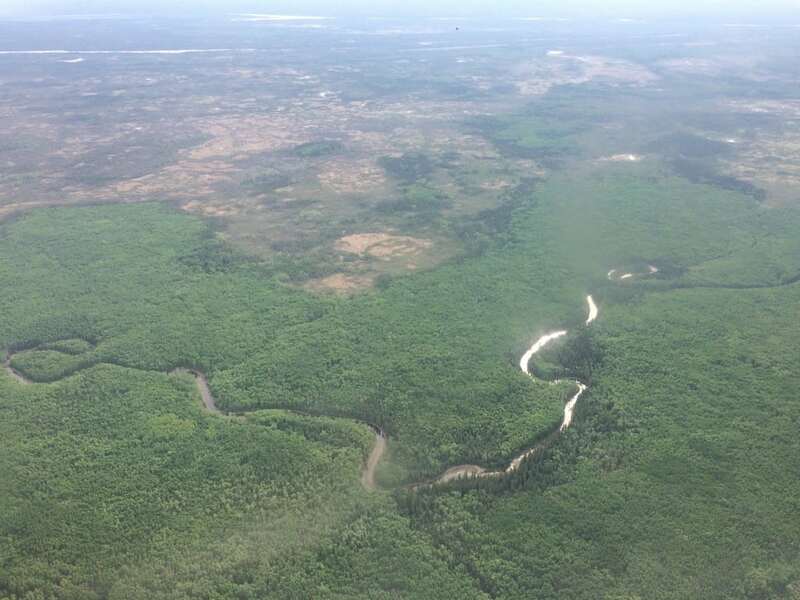 A view out of the window on our flyover of Wood Buffalo National Park and the Peace-Athabasca Delta, where the boreal forest meets the boreal plains. Later in the trip, we did a flyover of the Tar Sands and the proposed site of Teck’s Frontier Oil Sands Mine Project, which would be the largest Tar Sands mine ever built. After driving through the Park, we met a boat and were taken down the Peace River to Fort Chipewyan. This small community is accessible by boat and plane only except for a few months when it’s cold enough to open the frozen winter road – a window of time growing shorter each year. Reporter Judith Lavoie interviews the boat’s captain. Are we letting Teck sacrifice the future of the Elk River to centuries of toxic coal mining pollution? Teck Resources, Canada’s largest mining corporation, recently announced the shutdown of a vital water treatment facility in the southern Rockies. The facility was designed to remove toxic levels of selenium from water flowing out of mine waste dumps into the Elk River. Teck has applied for permission to shut down the plant because it turned out to be releasing an even more toxic form of selenium into the water than previously existed. Talk about a major failure—with a heaping dose of sad irony and an end result of fish that can’t reproduce because of toxic selenium building up in their organs. This week in Victoria, Sierra Club BC and the Flathead Wild Coalition hosted The Living Watershed – a conversation between community leaders, ecologists, activists and policy makers on pollution and water protection in the southern Rockies. Presenters speak at The Living Watershed event in Victoria on November 27. The speakers explained how selenium leaches from waste rock dumps at Teck’s Elk Valley coal mines and is then taken up by fish, birds and amphibians in concentrations that can prevent reproduction and cause birth defects. This problem has been known about since at least the early 1990s, but very little effort has been made by the provincial government to address the problem. Selenium levels have risen steadily to the point that they now far exceed regulatory limits and people fishing on the river are finding deformities in trout. This problem will only grow and worsen in the coming decades—with environmental impacts that could last for centuries—unless significant action is taken now. Sierra Club BC’s Mark Worthing with Helmi Hess, Rosie Simms and Erin Sexton (L-R). During the event, researchers Erin Sexton of the University of Montana and Helmi Hess of Environment and Climate Change Canada presented the shocking results of selenium field sampling projects and decades of research experience in the area. University of Victoria POLIS Water Sustainability Project research coordinator Rosie Simms spoke to the history of lousy water regulations in BC and potential opportunities to improve the management of our most valuable resource. The Elk Valley is a troubling example of nineteenth century watershed management. Solutions to the mining chaos in the valley are awfully complex and, at the same time, extremely urgent. Teck is now listed as an Environmental Offender and it is clear they cannot meet their mandated commitments. Efforts by the province have resulted in little to no progress and government leadership to address the regulatory gaps has been lacking. 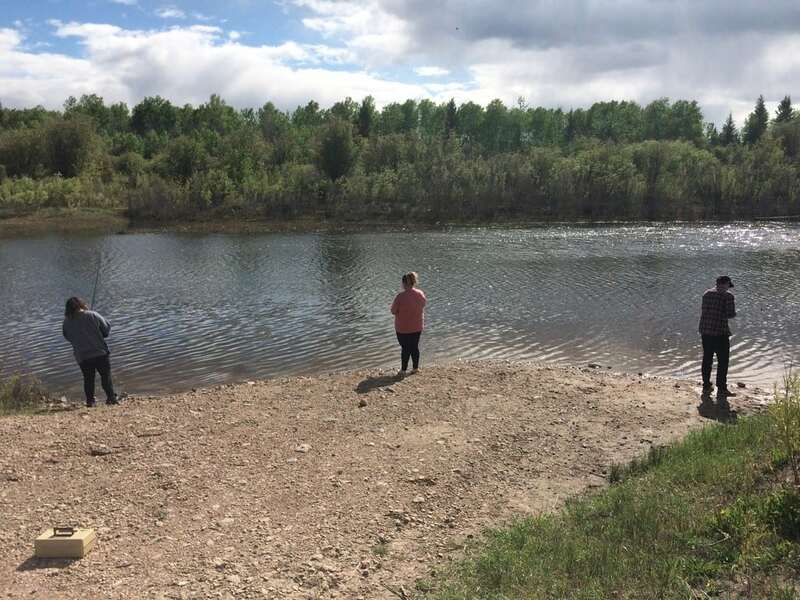 Instead, several new mines are now being entertained by the provincial government that could further compound selenium pollution in the Elk River. The same day we hosted our talk, Governor Steve Bullock and Senator Jon Tester of Montana called upon US Secretary of State Rex Tillerson to ramp up pressure to address the impacts of selenium pollution in waterways that cross the US-Canada border. Selenium concentrations in Lake Koocanusa are now reaching threshold levels for enforcement action. They are calling for a stronger framework to protect transboundary water systems and have asked for a bilateral standard to protect Montana’s water quality needs from the reckless BC mining sector. You know things have gotten really bad when one of the world’s leading climate villains is being asked to scold BC for polluting rivers with toxic mine waste. Existing waste rock dumps will leach selenium for centuries—far longer than treatment plants can be expected to operate. Teck can’t keep piling up more selenium-leaching waste rock while chasing short term solutions. We support the Ktunaxa Nation’s call—along with the US Kootenai tribes—for a binational commission with the US and Indigenous governments to end the toxic destruction of these shared rivers. Until we have a long term solution, no new mining or mine expansion proposals should be considered in the Elk Valley. We need a complete freeze on the Environmental Assessment process for new minds in the valley until this chaos is brought to order. In light of recent charges brought against Teck (TSE:TECK.B) under the Fisheries Act for fish deaths resulting from the failure of their selenium treatment plant in 2014, the Flathead Wild Coalition is renewing their call for a halt to new coal mines in BC’s Elk River Valley. Selenium levels in the Elk River watershed continue to be a serious threat to fish populations not only in Canada but also in the Koocanusa reservoir and the Kootenai River in the United States. Despite more than three years of operations at West Line Creek, Teck’s treatment process has still not safely solved the selenium problem from that mine. Selenium-leaching waste rock dumps at all five of Teck’s Elk Valley mines continue to grow – and selenium levels in the Elk River and downstream continue to increase. Meanwhile, expansions at four of Teck’s five open-pit coal mines in the Elk Valley have recently been approved by the BC Government and three new mines from other companies have been proposed, with more exploration ongoing. Selenium levels in the Elk River currently far exceed BC’s water quality guidelines. Levels in the Koocanusa Reservoir, which spans the border, have exceeded US Environmental Protection Agency criteria. Association, Sierra Club BC, Wildsight, and Yellowstone to Yukon Conservation Initiative. Williams Lake (B.C. ), January 13 2017. The federal Crown announced this morning in Williams Lake Court that it is moving to stay MiningWatch’s charges against the B.C. government and Mount Polley Mining Corporation (MPMC)—owned by Imperial Metals—over the largest mine waste disaster in Canadian history. If successful, the Crown action would prevent MiningWatch from presenting evidence to the Court about the 2014 spill’s damages to downstream waters and fish habitat, in violations of the Fisheries Act (see backgrounder below). “We were stunned that the federal Crown does not even want us show the Court that there was enough evidence to justify proceeding with a prosecution against both the B.C. government & MPMC for the worst mining spill in Canadian history,” says Ugo Lapointe, Canada Program Coordinator for MiningWatch. The Court will decide in the next few weeks if the Crown is allowed to enter a stay of charges so early in the process, without even first hearing the evidence from the private prosecutor (MiningWatch). MiningWatch is concerned that by staying these proceedings without clear justifications, the Crown is sending the wrong signal to industry across Canada and further undermines public confidence in the ability of our regulatory system to effectively protect our environment. MiningWatch is calling on the public to seek answers and clear commitment from the federal government to enforce its own environmental laws when they are violated. Please take the time to write to both Hon. Prime Minister Justin Trudeau (justin.trudeau@parl.gc.ca) and Hon. Dominique Leblanc, Minister of Fisheries and Oceans (dominic.leblanc@parl.gc.ca). Let them know you want to de Canadian Fisheries Act to be enforced promptly in the case of the Mount Polley Mine disaster in British-Columbia. More actions will follow. MiningWatch’s legal action is supported by multiple local, provincial, and national organizations, including West Coast Environmental Law-Environmental Dispute Resolution Fund (main funder), Amnesty International Canada, Sierra Club BC, Wilderness Committee, First Nations Women Advocating for Responsible Mining, Concerned Citizens of Quesnel Lake, Quesnel River Watershed Alliance, Fair Mining Collaborative, Rivers Without Borders, British Columbia Environmental Network, Clayoquot Action, Forest Protection Allies, Kamloops Area Preservation Association, Kamloops Physicians for the Environment Society, Alaska Clean Water Advocacy. With the support of multiple organizations, MiningWatch filed in October 2016 a private prosecution claiming that the massive 2014 spill destroyed or altered large swaths of fish habitat, in clear violations of sections 35(1) and 36(3) of the federal Fisheries Act (see also backgrounder online). On August 4 2014, Mount Polley Mine’s tailings dam collapsed and sent up to 25 million cubic metres (10 000 Olympic-size pools) of wastewater and mine waste solids into downstream waters, destroying or affecting over 2 612 470 m2 of aquatic and riparian habitats—equivalent to about 500 football fields or 1500 ice hockey rinks. Impact assessment reports of the spill commissioned by BC’s Ministry of Environment and MPMC indicate strong evidence of an impact to sediments, both physically and chemically, within Hazeltine Creek, Polley Lake and Quesnel Lake. Chemical impacts are most evident in elevated copper, but also in concentrations of iron, selenium, arsenic, vanadium, manganese, and other contaminants. In some instances, concentrations consistently exceeded provincial Sediment Quality Guidelines (and above background levels). The National Pollutant Release Inventory (NPRI) reports that the Mount Polley Mine represented the largest emitter of copper, arsenic and manganese in Canadian waters in 2014 due to the tailings spill. Studies also indicated effects to benthic invertebrates, which are also protected under the Fisheries Act. Effects are ranging from an absence of organisms, lower density and taxon richness, and limited differences in community composition. MiningWatch is taking action now because it is concerned that, almost two and a half years after the disaster, governments have failed to lay charges and enforce the law, despite clear and ample evidence to justify proceeding. MiningWatch fears that this sends the wrong signal to the industry across the country and undermines public confidence in the capacity of our regulatory system to work effectively to protect our environment. While MiningWatch is prepared to carry the case to full trial if necessary, it also recognizes that the cost and expense associated with prosecuting a case against a mining corporation and the Provincial Government can be immense. For this reason, it will be asking for the Federal Crown to carry the prosecution forward. If Canada’s unique environmental values and waters are to be fully protected, it can only occur if the government stands against violations of its own laws and uses all the means and resources it has at its disposal to do so. This legal action is supported by multiple local, provincial, and national organizations, including West Coast Environmental Law-Environmental Dispute Resolution Fund (main funder), Amnesty International Canada, Sierra Club BC, Wilderness Committee, First Nations Women Advocating for Responsible Mining, Concerned Citizens of Quesnel Lake, Quesnel River Watershed Alliance, Fair Mining Collaborative, Rivers Without Borders, British Columbia Environmental Network, Clayoquot Action, Forest Protection Allies, Kamloops Area Preservation Association, Kamloops Physicians for the Environment Society, Alaska Clean Water Advocacy. VICTORIA—A report prepared for Sierra Club BC shows there is an ongoing and serious risk of tailings storage facility failures, highlighting the fundamental inadequacy of the B.C. government’s response to date. Despite some positive steps by government, the report concludes the Expert Panel’s forecast of an average of two significant failures per decade in B.C. remains valid. The analysis, conducted by Dr. David Chambers, president of the Centre for Science in Public Participation, has been submitted to the provincial government. Dr. Chambers’ review of the proposed changes compares concerns and recommendations raised by the government’s Expert Panel and B.C.’s Auditor General, with recently announced changes to mining regulations. It identifies significant shortcomings in the government response to the disaster. The Expert Panel notably rejected the acceptability of business as usual for tailings dam design and maintenance, but the proposed reforms leave an ongoing and serious risk of tailings storage facility (TSF) failures. The way in which the Alternatives Assessments that guide mine proposals and permits are undertaken remains largely undefined. For example, it does not yet address the Expert Panel’s important recommendations to eliminate surface water from the impoundment or to deal with fundamental stability issues like saturation levels and compaction of tailings materials. This leaves the door wide open for site level costs to continue their present dominance of the rationale for choosing TSF design options. In the application of Best Available Technology to TSF design, the Expert Panel clearly said that safety and physical stability should be the paramount consideration. However, there is nothing in the proposed changes that explicitly states that costs related to environmental and community impacts in the short and long term must be considered in “economics and financial feasibility” considerations. It does not provide any guidance to drive a safety-first design approach. As a result companies can continue to legitimately employ a business-as-usual approach. While the requirement for Independent Tailings Review Boards is a positive step, the current proposal states that an ITRB “provides non-binding advice and guidance, but does not direct the work or perform the role of the Engineer of Record.” There is no requirement to publicly disclose any ITRB recommendation that is altered, or not implemented, by either the mine or regulators. This lack of transparency and accountability significantly reduces the value of ITRB to reassure the public that dam safety is being taken seriously. Importantly, especially in terms of the Auditor General’s report, there is still far too much latitude and discretion in terms of the financial sureties that are assessed and collected by the province. The ongoing lack of consistency and rigor in the process for reclamation and closure-related sureties continues to leave the Province—and hence the taxpayer—at significant financial risk. There are some positives. Progress has been made in: enhancing the evaluation of potential failure modes of both operating and closed tailings facilities; and strengthening the requirements for the Engineer of Record and Independent Tailings Review Boards (ITRB). Please note: Dr. Chambers is working on-site in Alaska this week and is only reachable between 7 – 8 am or 9-11 pm Pacific Time at 907-294-2228. He suggests contacting him by email to set up an interview. Although many might be hearing about it for the first time, residents of Kamloops, B.C. have been fighting the Ajax mine development for several years. The gigantic open-pit gold and copper mine is proposed to be built on the edge of this busy urban centre. A recent report commissioned by Sierra Club BC shows what local residents have always known: this is no place for an open-pit mine. Until April 11, 2016, the Canadian Environmental Assessment Agency is accepting public comments on the Ajax Mine proposal. Given its proximity to several residential neighbourhoods, it should come as no surprise that Ajax Mine would negatively impact the air quality and the health of local residents. The mine would be situated within six kilometres of eight elementary schools, four high schools, four senior residences, one hospital and the Thompson Rivers University. There are homes in close proximity to the site, and the closest Kamloops neighbourhood and elementary school is within two kilometres of the proposed mine. The only surprise is Ajax’s promise of “zero harm” and its promise to “meet or exceed all environmental laws and regulations”. Our report, conducted by hydrogeologist, Dr. Kevin Morin highlighted a number of serious public health concerns and ecological impacts that are likely to ensue if Ajax is allowed to proceed. Concerns raised in the expert report include the contamination of groundwater and the Peterson Creek Aquifer—a source of domestic water and tributary to the Thompson River. Another report, conducted by Dr. Steyn, an air quality expert, suggests the mine would increase fine dust particles in the Kamloops airshed and negatively impact health of residents. Dr. Morin’s report also highlights concerns over the way Ajax assessed the mine’s threat to the local environment. The report suggests that Ajax “significantly underestimates the likely contamination of water leaving the mine site. Thus, the Ajax modelling underestimates the potential damage to human health and the environment that could be caused by its mine. It is vitally important the Canadian Environmental Assessment Agency hear from concerned citizens, and experts like Dr. Morin and Dr. Steyn, rather than simply relying on flawed modelling by the company who seeks to profit if the project goes ahead. As if the threats to environment and health were not enough, Ajax mine would also destroy part of Jacko Lake and Peterson Creek, sacred to First Nations. Jacko Lake (Pipsell in Secwepemc language) is the site of an epic Secwepemc traditional oral story called the ‘Trout Children,’ and its bountiful fishing helped feed ancestors of today’s Stk’emlupsemc te Secwepemc Nation (SSN). Perched on a high grassland plateau just above the city of Kamloops, the lake is home to an amazing biodiversity and is visited by more than 130 bird species and 40 mammals. Human artifacts dating back 7,000 years have been found around the lake. Ajax’s mine would literally need to dam-off and destroy 20,400 m2 of productive habitat within Jacko Lake. 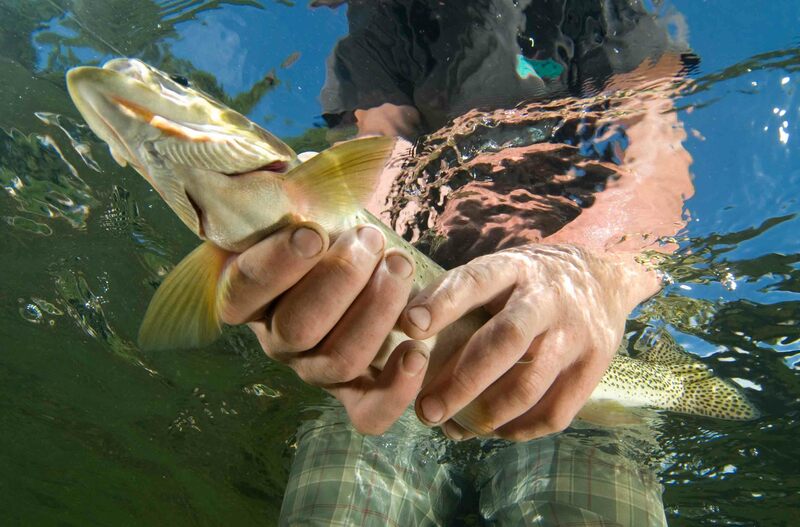 The SSN people, who still fish on the lake today, like thousands of local and international anglers every year, are squarely opposed to this scheme and have recently filed a claim asserting title to the lands and waters where the mine would be located. The fact that such a large-scale mining operation in such close proximity to an urban area wasn’t weeded out earlier in the process highlights the way B.C.’s outdated mining legislation puts the mining industry ahead of the health and well-being of communities and watersheds. In a modern, diversified economy, mining is only one economic activity among many. B.C. should update its antiquated mining laws and take a good look at the costs and benefits of mining versus other economic activities. And, as with any project, the Ajax decision and B.C.’s mining legislation must respect the rights and title of First Nations, and the principle of free, prior, and informed consent. With thanks to the Kamloops Area Preservation Association (KAPA), Kamloops Moms For Clean Air, Kamloops Physicians for a Healthy Environment, Concerned Citizens of Kamloops, and Mining Watch Canada for a great collaboration!